As you all know I took some time off from the website during the fall to adjust to the rigors of graduate school. I’m pleased to say that I made it through the first semester and I am at the start of my second semester. So far, so good. Thanks for your patience with the lack of posts. During my hiatus, I did find the time to do some research and attend history related functions. Below are a few photos of what I’ve been up to. 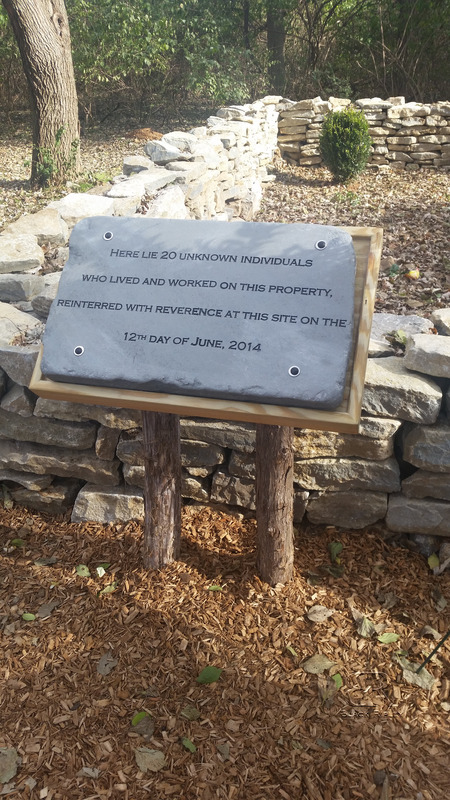 This fall I attended the reburial commemoration ceremony for 20 slaves found at the Nashville Zoo. The slaves had been reburied this past June, but a big ceremony was not held until October. The slaves were discovered on the property in the 1980s and left undisturbed until construction required their removal. 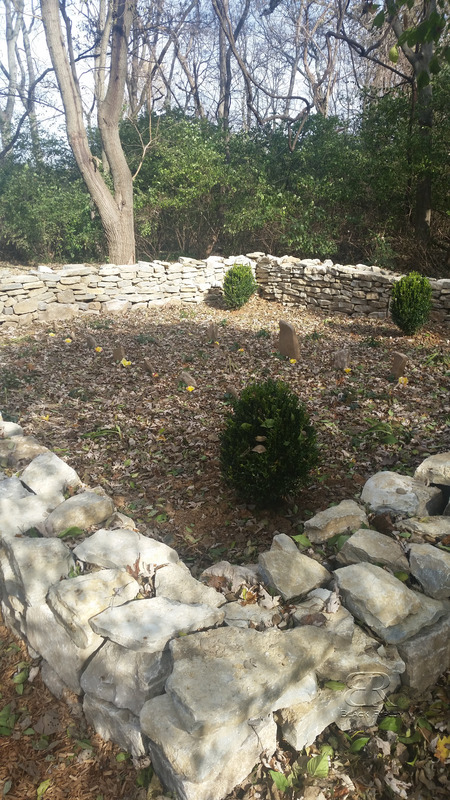 The slaves were moved from their original burial site and reburied on the historic farm site located on the zoo. Prior to being reburied DNA samples were taken to identify the ancestry of the individuals and as suspected African ancestry was found. They were reburied according to the original way they were buried in an effort not to disturb what may have been family groupings. They were also reburied using the original stone markers for their graves. Slave burial site. Note the headstones. 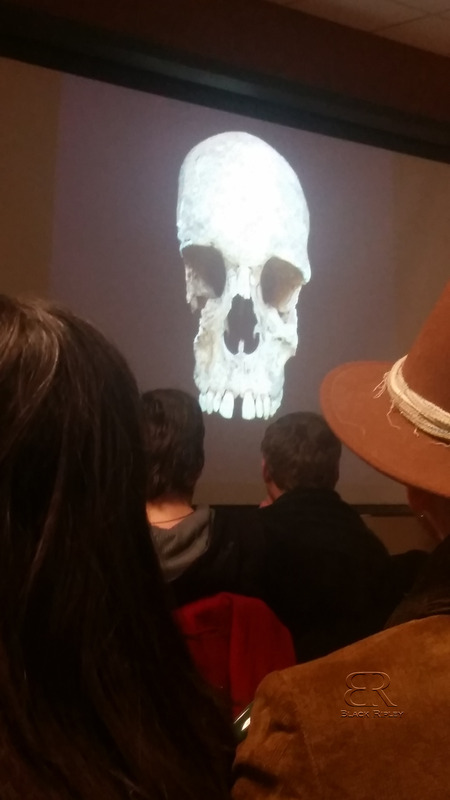 I also attended a lecture on the bioarchaeology behind these remains and learned of new techniques to determine DNA and the possible geographic locations that these individuals might have lived in prior to living at what would become the Nashville Zoo. I also worked on a project to bring commemoration to a neighborhood known as The Bottoms in Murfreesboro that was removed from the landscape due to urban renewal. Researching neighborhoods that have been removed from the landscape has quickly become my favorite area of research. I was quite busy, but I missed working on Black Ripley. It feels good to be back! Hi Tiffany. I’m not sure whether you will get this or if you are even the person I am trying to contact about a story I read on this site about Henderson House. I found the story to be very interesting, considering he was my great, great uncle and didn’t have any knowledge about his historic lynching in Ripley. I have been searching for information regarding my family history. Recently, within the last two years I and several family members have participated in DNA testing, primarily through Ancestry. If I can be of any help to you or if you have any additional information about Henderson please contact me.